Wednesday, January 30, is Bell’s “Let’s Talk” Day. This annual event is designed to support Mental Health by raising awareness and understanding. 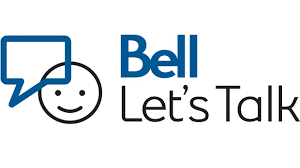 At BT, the Health and Wellness Club, led by Ms. Malta, promotes the Bell’s “Let’s Talk Day.” As part of this imitative, the Mental Health and Wellness Club is asking that each student donate a Toonie, during the week of January 28, to 31, with proceeds going to Bell “Let’s Talk” Mental Health Initiatives.